Dr. Thomas (‘Tommy’) Eric Johnson, Ph.D., age 59, passed away peacefully at home with family on June 17, 2010, after a brief, yet extremely courageous struggle with cancer. He is dearly loved and will be sadly missed by his family, a wide circle of friends, jazz-music lovers across the country, and fellow advocates for numerous multi-cultural humanitarian concerns. Tommy was born on September 19, 1950, in Topeka, Kansas, to Dr. James S. Johnson, Jr., and Grace Clausell Johnson. The family moved to Kansas City, Missouri in 1954. At the age of 8 years, Tommy was enrolled by his parents at the Kansas City Conservatory of Music to study what was to become one of his life-long passions–the trumpet. He received his early education in the Kansas City Public School District, graduating from Central High School in 1968. 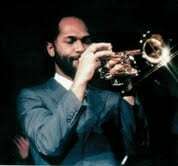 It was at Central High School, as a member of the marching band, that Tommy developed and nurtured his skills as a jazz trumpeter. His high school group, “The Motivators,” was a ‘hot’ and frequently demanded jazz combo in the Kansas City area during the 1960s. ? ?After graduation from Central High, Tommy followed his father’s advice and enrolled at The University of Kansas (KU), where he earned a B.A. in Human Development in 1972, an M.A. in Human Development in 1976, and a Ph.D. in Music Education in 1984. At KU, he performed several years as a member of the K.U. Marching Band as a lead trumpeter, including a performance at the Orange Bowl. Also, it was at KU that his career as a highly respected, beloved, and renowned jazz musician blossomed. His resume includes playing with the late-greats Cab Calloway and Claude ‘Fiddler’ Williams, among others. His notable local bands during the 1970s and 1980s were the “Paul Gray & the Gaslight Gang,” “Majestics Rhythm ‘Revue’,” “Tommy Johnson Experiment,” and “Vista Hotel Jazz Orchestra.” Over the years, Tommy and his talented jazz-musician colleagues were contracted to entertain at numerous special local, state, and national events. New Years Eve events, weddings, local jazz club performances, and charity events in Lawrence, Topeka, and Kansas City were his mainstay. His calling card always was his infectious personality, a heart-warming smile, gregarious laughter, giving his performances his very all, and compassion for his listening audiences. ? ?For the past 21 years and until his health began to fail a few weeks ago, Dr. Johnson served as the Director of Behavioral Services for Community Living Opportunities (CLO), Lawrence, Kansas, where his passion for optimal quality of life for all individuals was another ongoing life mission and daily pursuit. He will be missed by his beloved CLO ‘family’ and the many individuals to whom he gave his heart and resources to help promote meaningful quality-of-life differences, independence, and human dignity. ? ?In his spare time, Tommy was an avid KU basketball and football fan, an accomplished tennis player, and a father passionately committed with Karen to their son’s development, higher education, and career as a jazz trumpet player. He is survived by his mother, Mrs. Grace C. Johnson; son, Thomas (‘Tommy’) Seals Johnson, ‘Jr. ;’ wife, Karen A. Seals, Ph.D.; two brothers, James S. Johnson, III, and Nelson E. Johnson, M.D. ; sister-in-law, Anne Lambert Johnson, D.D.S. ; nieces, Annell L. Johnson and Anne Elizabeth Johnson, J.D. ; brother-in-law, Gary W. Seals and sister-in-law, Janet G. Murphy; and two nephews, Colin M. Seals, J.D., and Ryan M. Seals, MPH. Tommy was preceded in death by his father, Dr. James S. Johnson, Jr.; mother-in-law, Aletha Florence Palmer Seals and father-in-law, Charles Hadley Seals.? ?Graveside services will be held on Wednesday, June 23, 2010, at Lawrence Memorial Park Cemetery, 1517 E. 15th St., Lawrence, Kansas 66044, at 10:00 A.M. Flowers may be sent to the cemetery. The family suggests contributions to The University of Kansas Cancer Center or the Mutual Musicians Foundation in Kansas City, Missouri.